The promise of Africa’s biggest economy has turned to peril. Companies drawn to Nigeria by the prospect of a population bigger than Germany and Turkey’s combined are retreating; those staying have publicly criticized the president, a military strongman in the 1980s who came back to power via an election last year; and foreign investors are pulling their money out. The corporate tribulations that began with a slide in oil prices and accelerated after the imposition of capital controls are also entangled in a global emerging-market slump. 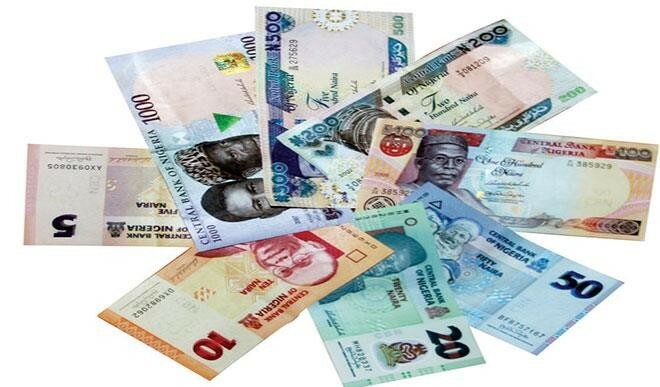 In propping up the naira in a futile bid to contain inflation, officials have jacked up pressure on an economy running out of cash, deepening a black market in currency trading and causing shortages of imported goods from fuel to milk. U.S. officials said they will press their Nigerian counterparts to change tack during talks in Washington this week. After four years trying to gain traction, Truworths International Ltd., a South African clothing retailer, last month gave up. It closed its last two outlets in Nigeria, in the southeastern cities of Enugu and Warri. Willing to tolerate dilapidated infrastructure, complicated red tape and expensive rent, the company said the import and foreign-exchange restrictions caused it to throw in the towel. 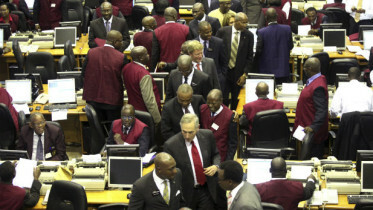 Nigeria’s appeal has faded as the price of oil, source of 90 percent of export earnings, has crashed. Growth slumped to 2.8 percent last year, the slowest since 1999, and will decelerate to 2 percent in 2016, according to Morgan Stanley. In dollar terms, the economy in 2019 will still be 17 percent smaller than its 2014 peak of $542 billion. Only two years ago, McKinsey & Co. said Nigeria had the potential to grow 7.1 percent annually until 2030 and build a $1.6 trillion economy. As Nigeria lags, other countries in sub-Saharan Africa have gotten more appealing. Last month, Nigeria fell from first to fourth, behind Ivory Coast, Kenya and Tanzania, in a ranking of business prospects by the research unit of Nielsen Holdings Plc. Portfolio investors including Aberdeen Asset Management Plc and Ashmore Group Plc, which together oversee about $450 billion of assets, have retreated from Nigerian markets. The main stock index is down 10 percent this year, while the MSCI Frontier Markets Index has lost 2.8 percent. Nigeria’s local-currency bonds are the only ones among 31 emerging markets tracked by Bloomberg to have generated aloss this year. Foreign direct investment this year is set to be the lowest since the 2008-09 global financial crisis, according to data from the central bank. For now, President Muhammadu Buhari and Central Bank Governor Godwin Emefiele say they aren’t budging from their strong-naira policy. While both acknowledge that businesses are struggling to source enough dollars, Buhari says that a devaluation and easing of capital controls would be akin to “murdering” the naira and send prices up. That’s already happening as manufacturers struggle to buy foreign inputs, with inflation accelerating to a three-year high of 11.4 percent in February. Markets are betting Nigeria will be forced to follow oil exporters from Russia to Kazakhstan and Mexico and let the currency weaken. While the naira has been all but pegged at 197-199 per dollar since March 2015, forward prices suggest it will drop 29 percent to 280 in a year. The black market rate has weakened to 320. Bruno Witvoet, the Africa President of Unilever, whose Nigerian subsidiary has seen its shares plunge 31 percent since Buhari came to power, said it would be “very insane” for the country to persist with the currency policies. Nestle SA says its local unit, which has fallen 18 percent in that period, has had to widen the number of banks it uses so that it can access enough foreign exchange. Not all companies are gloomy. In January, Coca-Cola Co. agreed to pay about $240 million for a 40 percent stake in Chi Ltd., which is based in Lagos, and makes fruit juice and dairy products. Boston Consulting Group this month opened its first office in Nigeria. For Frontier Strategy Group’s Lion, Nigeria is too important for foreign companies to exit en masse. Be the first to comment on "Nigeria’s Promise Turns to Peril as Investors Head for the Exits – Bloomberg"